Leo July 2015 Horoscope for this month forecasts that family and psychological matters will gain importance over professional life and personal achievements. This is thanks to the planetary strength that is moving towards the Southern sector of your natal chart. 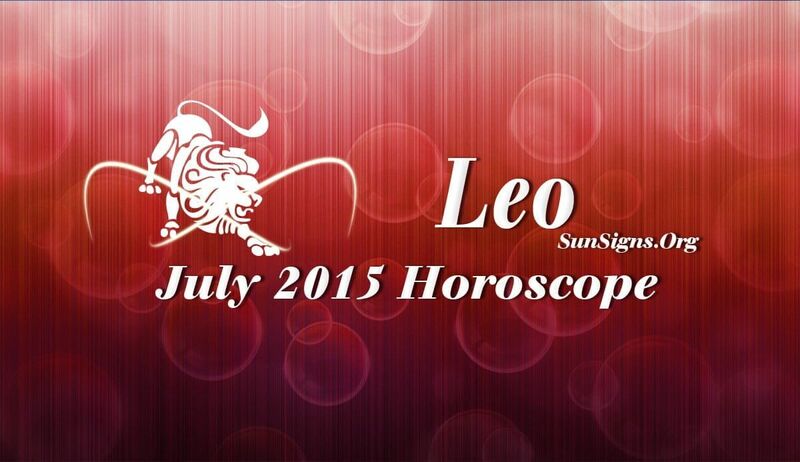 In July 2915, the Leos will have ample opportunities to concentrate on their objectives and achieving them. Social skill and flexibility are not required now and you can dictate your own course. You will be drawn into spiritual and mystic activities. You should be extremely cautious while relying on these psychic predictions for the future. The July 2015 Leo astrology forecasts show that career expectations should be pegged at realistic levels this month. Minor projects in business will be completed without problem. But execution of major projects will be extended over the next few months. Professional activities may involve overseas travel for job purpose. Financially this is a happy month for the Leo zodiac sign. Money will flow effortlessly. Your new projects will be profitable. Earnings will be through sales and marketing. There may be unexpected windfalls during July 2015 and speculations will be beneficial. You have to rely on your gut feelings more than cold logic in your financial dealings. The 2015 Love horoscope foretells that stability is missing in love partnerships for the Leos during the month. Though many opportunities will be available for getting into them, a breakup is guaranteed. The month is not auspicious for deciding on the confirmation of serious relationships into marriage. Pregnancy and children related worries too might affect you this month. The Leo July 2015 horoscope foretells that health shows marked improvement thanks to your positive energy and magnetism. Chakra healing and meditation too can help you keep your mind relaxed and at peace.